In modern sport, third umpire technologies are becoming more and more popular thanks to advancements in computer vision that can enable real time decisions to be made by technologies. 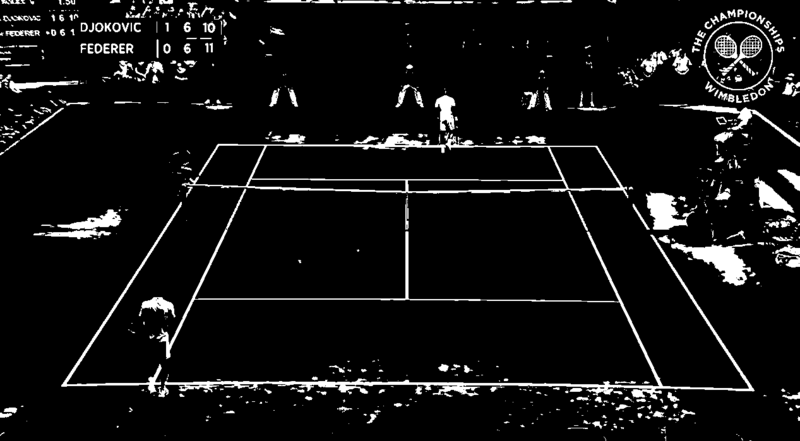 Tennis has been a popular problem to assisting with line calls and was the challenge of one of my computer vision submodules in third year. The problem consists of a given tennis court image in different views and angles, attempting to find pinpoint precisely the line locations. 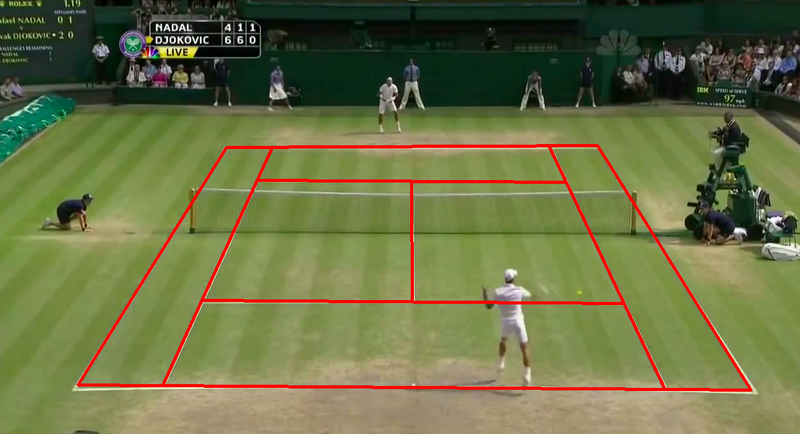 The solution draws from image processing techniques, feature extraction, matching joined with some tennis court heuristics that are able to overlay the court with a probabilistic Ransac approach. Post processing the colour data of a tennis court image. The results were very good, implementing a Python based OpenCV system capable of real time analysis of tennis court data.